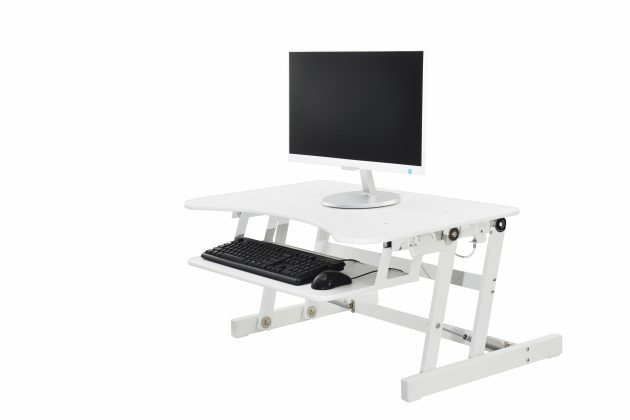 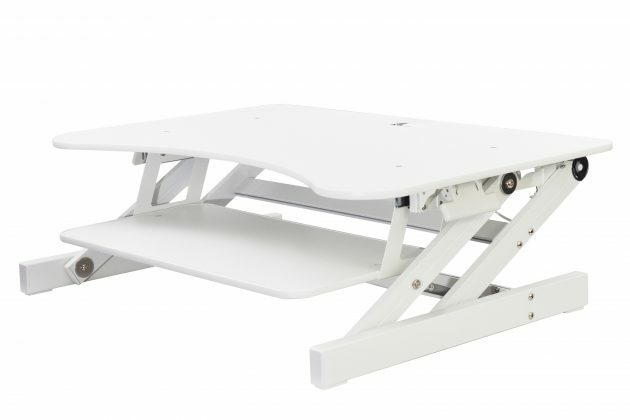 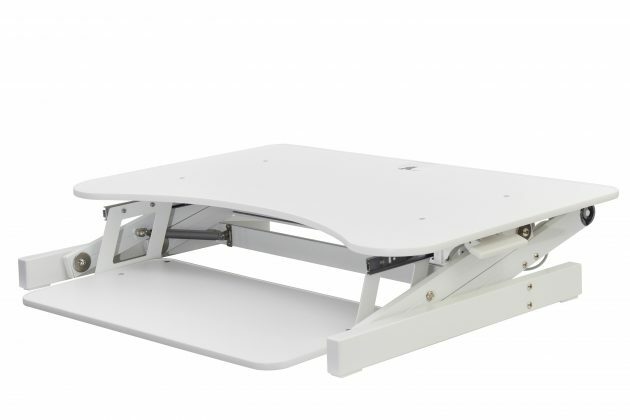 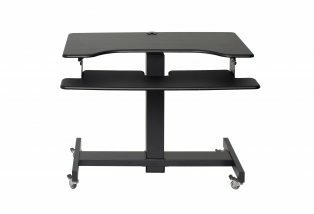 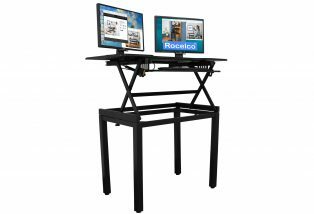 The Rocelco EADR Sit Stand Desk Riser has a large 32″ x 20.5″ top panel that will comfortably hold 2 monitors and a laptop. 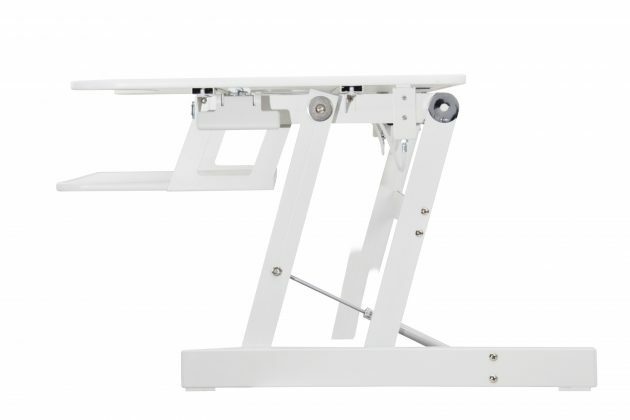 Side handles allow for 5 easy height adjustments between 6.5″-16.3″ which offers the proper height and working angle for your sitting or standing needs. 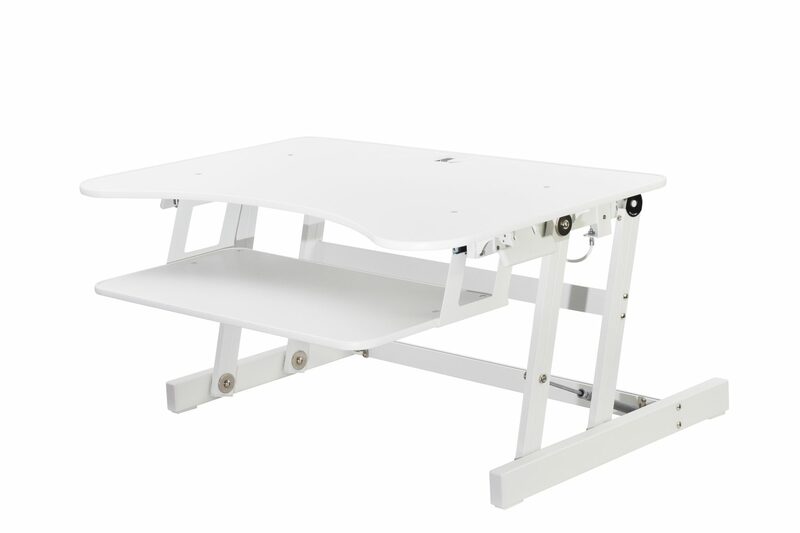 Large retractable keyboard tray 24″ x 11.75″ offers the ergonomically correct position whether sitting or standing and the ability to hold a keyboard and mouse at the same time. Gas springs allow for smooth movement up and down with weights up to 50 lbs. 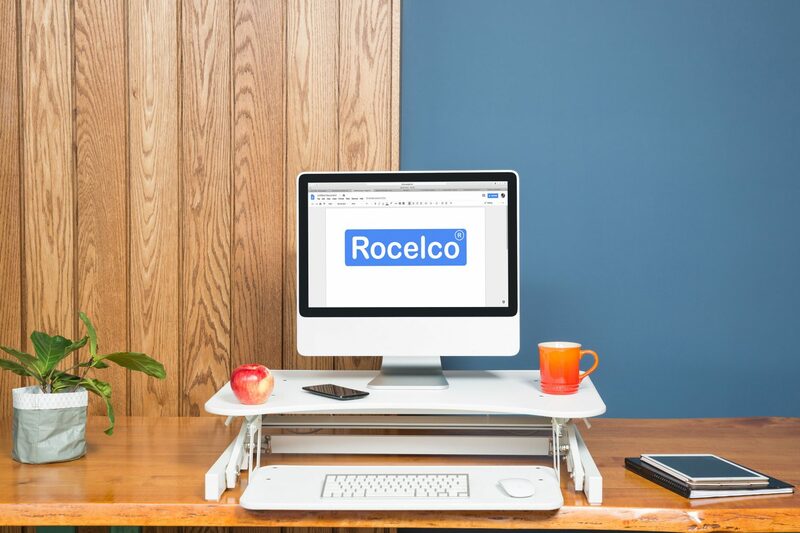 A grommet hole is included for either a cable management solution or optional Rocelco monitor mount. Rocelco brings the dealer and manufacturer, the benefit of experience that money can’t buy. 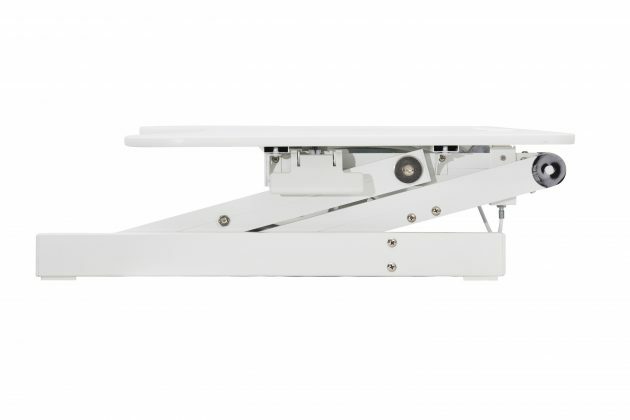 We are proud that we have contributed to the success of our dealers and suppliers, and of the lifetime of loyal relationships that have resulted from the audio-video business. 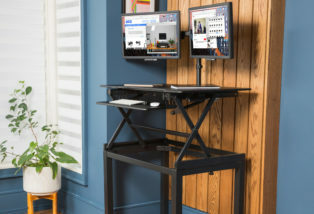 We have a long past because we have always looked to the future, which has required us to constantly improve and update our products, business methods and technologies. 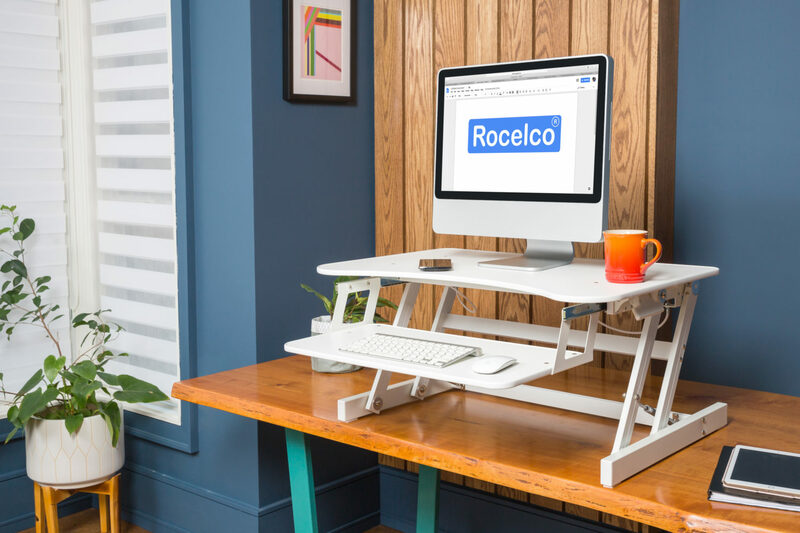 At the same time, we believe that the traditional values of hard work, integrity, innovation, dedicated customer service, and loyalty to our customers and suppliers, are still the values that will stand the test of time. We only sell to dealers and resellers.